On Wednesdays (couldn’t we go back to Fridays?? ), timing is everything. The Photo Challenge goes live (usually) at 11 am CST here in the Chicago area, so by 10:55, I’m usually sitting with my laptop, ready to start looking for photos. But wait!! What if my laundry is ready to come out at that time? I don’t want it sitting in the machine getting wrinkled but I don’t have time to hang it up. I have to be photo hunting!! 🙂 Hopefully this week the comments and pingbacks will work right away. Anyone else having trouble getting posts to load in the Reader? 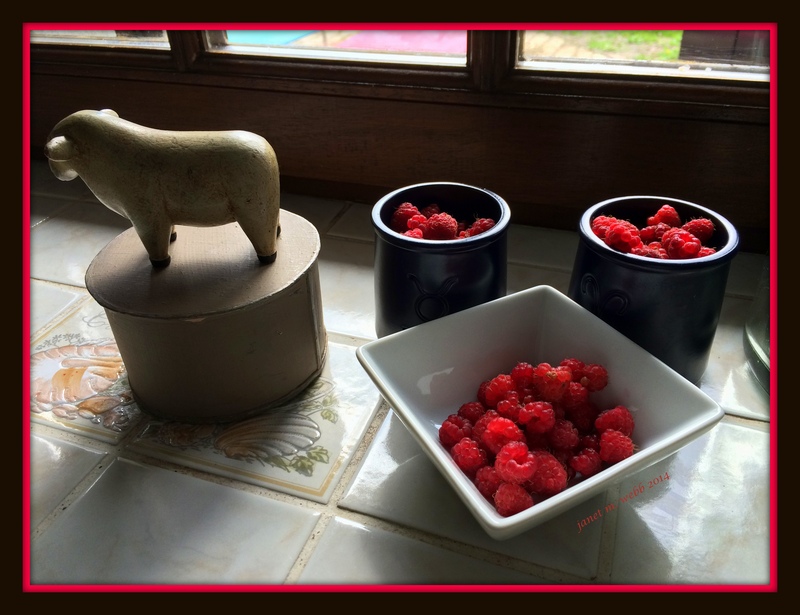 Today’s theme is…drum roll, please…”Temporary.” While there are all sorts of choices for this, my mind is on food and these wild French raspberries were very temporary indeed, but oh, so good! “Treat” is the theme for the Weekly Photo Challenge. I love freshly picked raspberries sitting on the counter of a French country kitchen, waiting to be eaten out of hand or in creamy yogurt. Definitely a treat, as was being in France!